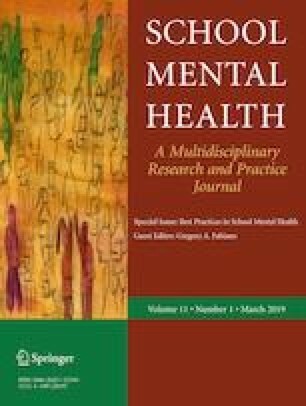 Previous studies of the protective factors for adolescents’ psychological well-being in school have focused on the emotional relationships under the classroom climate. In contrast, the present study focused on the structural relationships among students. To investigate this issue, we examined the effects of class entitativity, that is, the extent that a class is a coherent group rather than a number of students, on students’ attitudes about themselves, their peers, and the whole class. A total of 408 adolescents completed measures of perceived class entitativity (i.e., homogeneity and interaction among students), self-efficacy, peer trust, and identification with the class. The results of a structural equation model analysis indicated that class entitativity was positively correlated with students’ self-efficacy and their identification with the class, which were in turn correlated with students’ trust of their peers. Further analysis revealed that homogeneity was positively associated with students’ self-efficacy, while higher level of interaction was associated with stronger identification with the class. These findings highlight the essential role of structural relationships between students in their psychological well-being and have implications for student-oriented practices in schools. National Bureau of Statistics. (2011). Tabulation of the 2010 population census of the People’s Republic of China. Retrieved from http://www.stats.gov.cn/tjsj/pcsj/rkpc/6rp/indexch.htm. Statista. (2017). Annual per capita income of households in China 1990–2017. How well-off is China’s middle class? China Power. Available from https://www.statista.com/statistics/278698/annual-per-capita-income-of-households-in-china/.